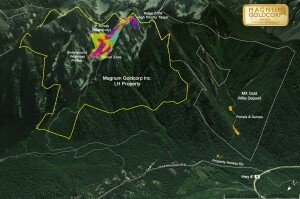 Magnum Goldcorp is developing the LH Property located on east of Slocan Lake approximately 7.0 km south of the village of Silverton, in the Slocan Mining Division of southeastern British Columbia. 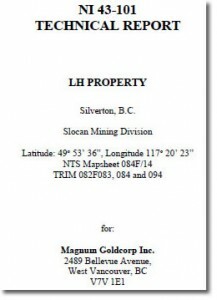 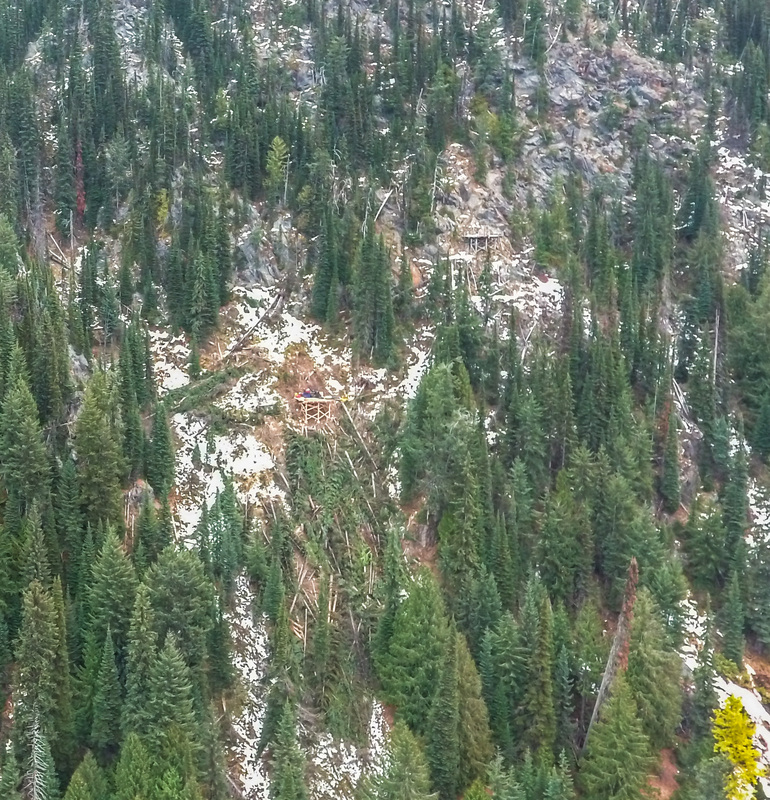 The LH Property is a gold exploration property consisting of 19 contiguous crown granted claims and 7 mineral claims, located approximately 7 km south of Silverton, British Columbia, on the east side of Slocan Lake. 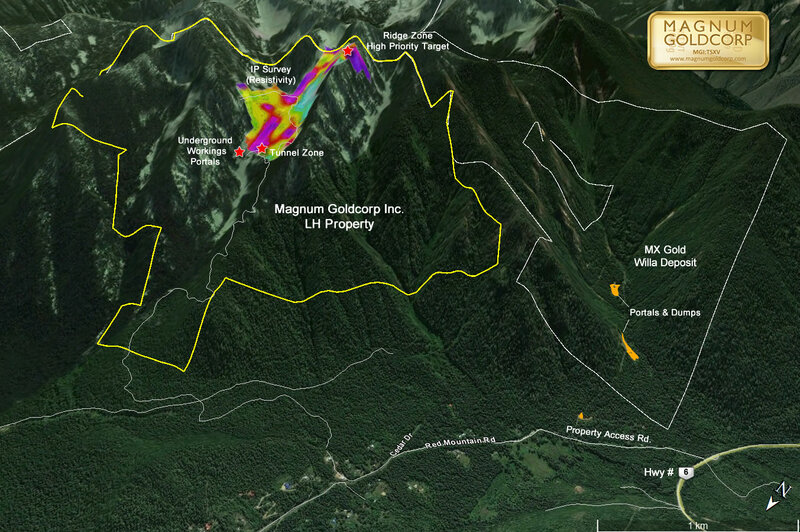 As announced April 27, 2016, Magnum now owns 100% of the LH Property. 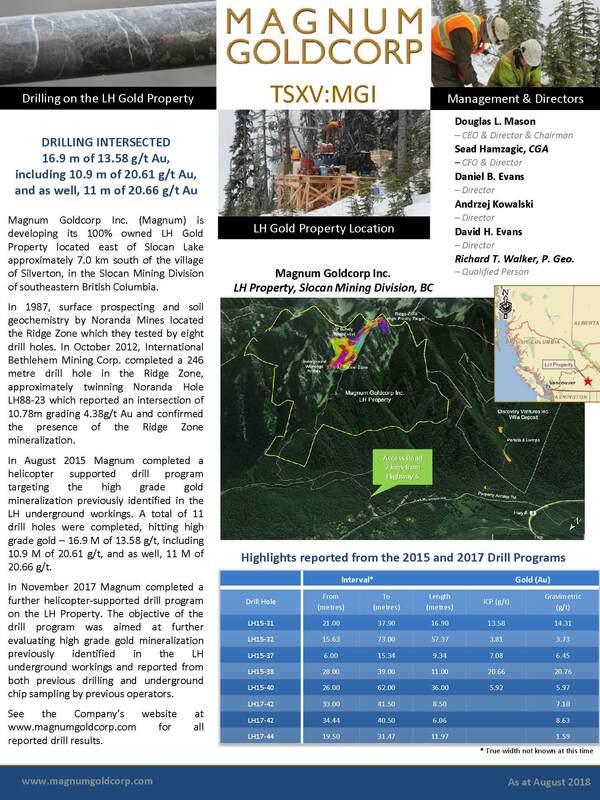 In 1987, surface prospecting and soil geochemistry by Noranda Mines located the Ridge Zone which they tested by 8 drill holes. 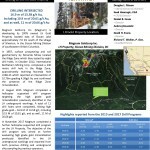 In October 2012, International Bethlehem Mining Corp completed a 246 metre drill hole in the Ridge Zone, approximately twinning Noranda Hole LH88-23 which reported an intersection of 10.78m grading 4.38g/t Au confirmed the presence of the Ridge Zone mineralization.